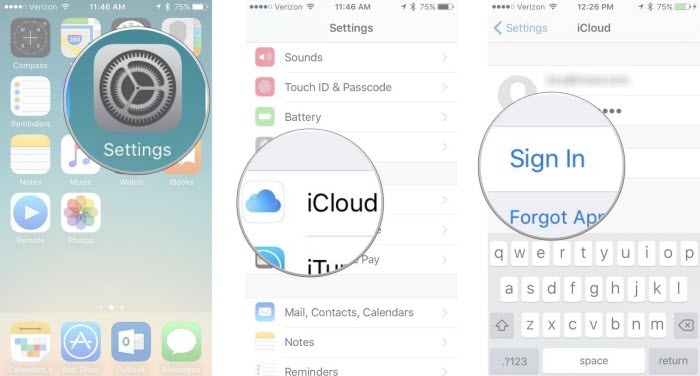 [Solved] How to Manage Multiple iOS Devices with One Apple ID? Sharing the same Apple ID is a common occurrence among family members with multiple iOS devices. This works great when you need to share purchased items among your family members, however keeping your personal data separate can be a bit tricky. Fortunately, you can achieve this with minimum effort. 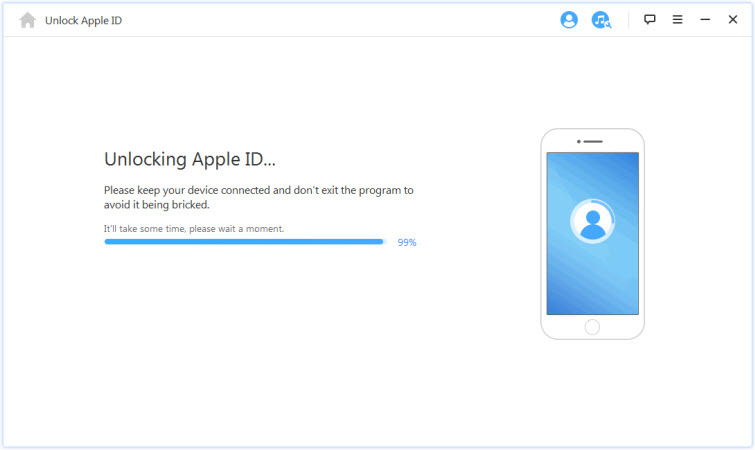 Part 1: How to Manage Multiple Apple Devices with One Apple ID? How to Manage Multiple Apple Devices with One Apple ID? To manage multiple iOS devices with one Apple ID, you will have to use the sharing feature. Of course, everyone likes to keep their personal data separate, which is also possible; you will just have to set up individual Apple ID for every member of your family. So each device will have two Apple IDs; one for sharing purchased items and one for personal data. 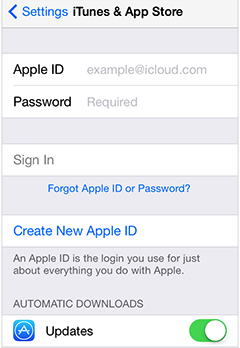 Steps to manage multiple apple devices with one family apple id are pretty straightforward. Make sure to repeat the instructions on all devices that are sharing one Apple ID. Step 1. Open Settings app on the iDevice and navigate to iTunes & App Store. Step 2. Once there, provide the Apple ID and password that you intend to share among multiple devices. This ID will be used for your purchases. This same ID will be used when setting up every single of the iDevices of your member members. Once you have signed in, all the purchases made on that ID will be automatically downloaded into all the iOS devices sharing the same ID. If you want to avoid this, then navigate to Settings > iTunes & App Store and turn off Automatic Downloads option. Now that you have set up the same Apple ID on multiple iOS devices for sharing the purchases, you would like to keep your personal data separate from your family members (each of your family member might want to do this). To achieve this, you will have to set up an individual Apple ID on your iDevice in order to access iCloud as well as other services. Step 1. Open Settings app on your iDevice and navigate to iCloud. Step 2. Sign in using your individual Apple ID (create a separate ID if you haven’t done it already). Keep in mind that all your family members sharing the same ID will have to set up their own individual Apple ID on their iDevice to keep their private files separate. Now everything that is connected to iCloud including contacts, FaceTime, messaging, etc. will only be yours to see. Furthermore, this configuration will also break any links associated to the previous Apple ID. The data on previous ID such as calendar entries will also become unavailable. Apart from iCloud, your individual Apple ID will also need to be updated for other apps and services that were using the shared Apple ID before. It is highly recommended that you update the new individual Apple ID for FaceTime and iMessage as well. To do this, tap on FaceTime and Messages and then head over to iTunes Apple ID and then update them using your individual ID. That’s it! After following the above mentioned steps, your personal data will be separate and hidden from your family members even if you are sharing an Apple ID with them. What to do if you forgot your Apple ID password? Or your iPhone has an iCloud account that you don’t know the password of it, what should you do? Don’t worry about it, iMyFone LockWiper is here for you. 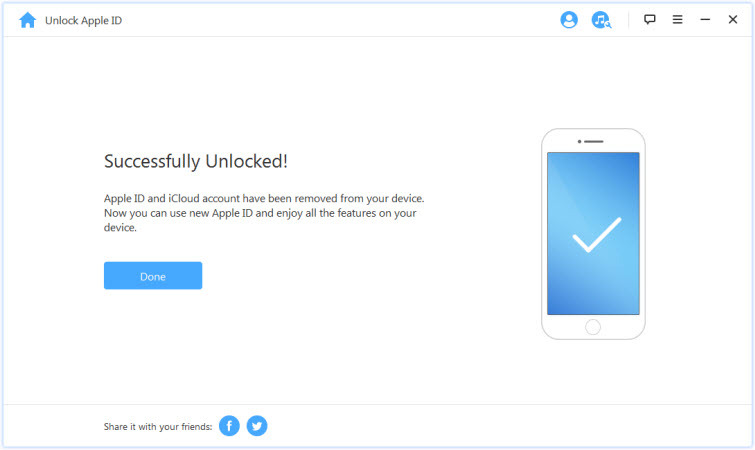 The tool can help you remove the Apple ID directly from your device, and then you can create your own one to enjoy all the iCloud features. It can help you remove your Apple ID/iCloud account when you forgot the password. Allows you to take control over your iPhone/iPad/iPod Touch after removal. Remove all the previous data of the user and enjoy all iCloud services and features of your own. Step 1. Just download and launch the software and choose the “Unlock Apple ID” mode. Step 2. Next, click on the “Start to Unlock” to begin the process. Step 3. The Process will start as soon as you’ve clicked on button. You will need to reset the settings on your iPhone if the Find My iPhone is on. As soon as this is done, LockWiper will start unlocking. Step 4. 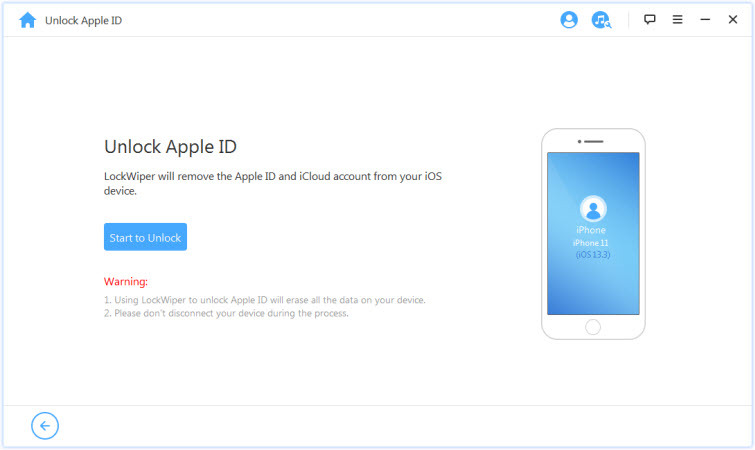 As soon as this is done, the previous Apple ID, including the iCloud account will all be removed from your iPhone. Note: Before you start the process, you can check if your device is already activated then you can start to remove the Apple ID.